Powakaddy Universal Battery Money Saver!! My 6 year old battery died and the replacement is no longer made. This universal battery has saved me the cost of a new trolley and was less than the original replacement battery even if one could be found. The battery is small and light, easily connected and quick charging and has proven a seamless transition. I would definitely recommend this to anyone looking to prolong the life of their trolley. 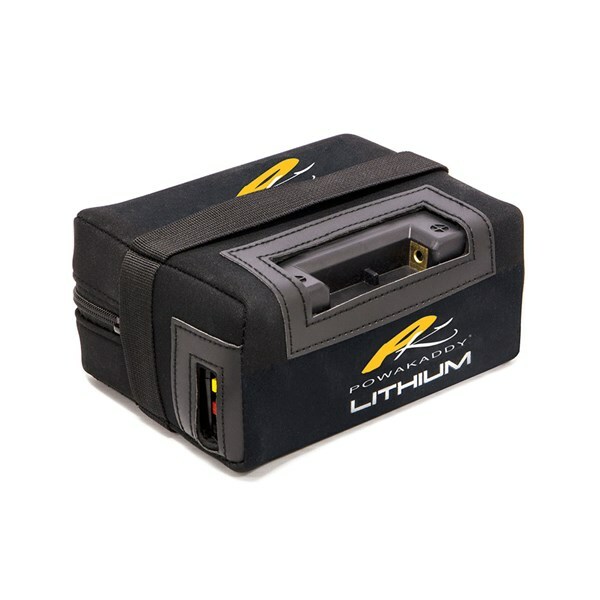 The Powakaddy Universal Lithium Battery and Charger has been launched to offer you the opportunity to replace an existing Lithium battery or to upgrade from a lead acid. Powakaddy have launched the universal battery in two capacities, either an 18- or 36-hole. 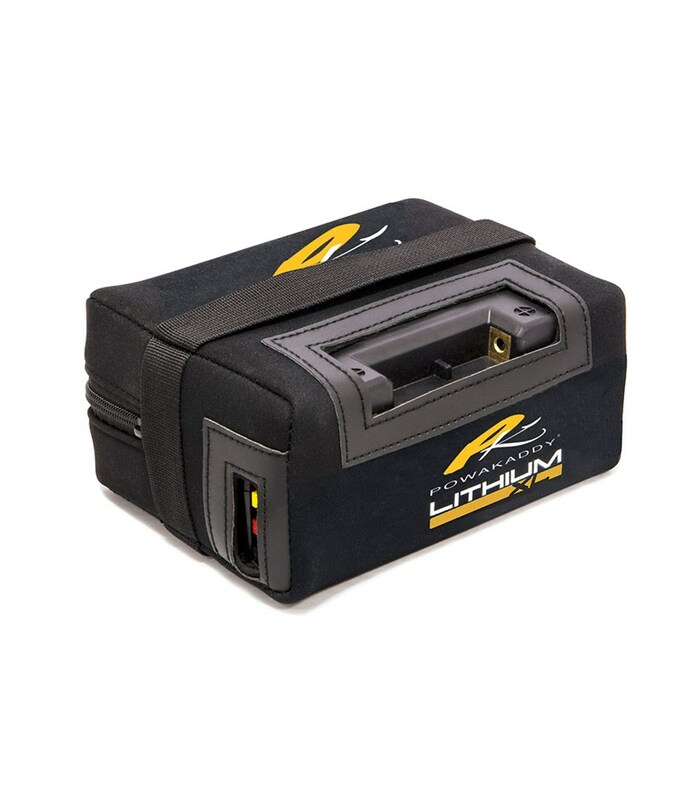 Using the most advanced battery technologies this Lithium battery’s performance will enhance your round. The battery features an advanced BMS (battery management system) to ensure the battery never overcharges. 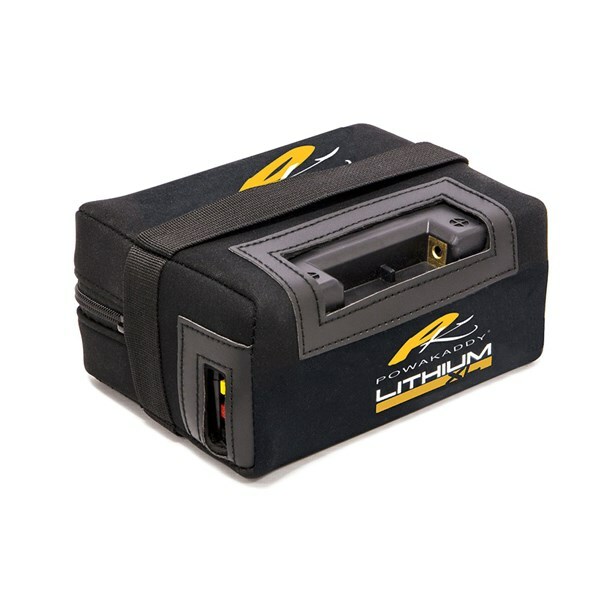 As it is Lithium it will charge within 5 hours from empty compared to your overnight lead acid and it weighs half the weight of a lead acid making it is easy to transport. The longer lifespan of the Lithium battery means that it virtually pays for itself over the course of its life. But for extra peace of mind this battery also comes with a five-year warranty. • 3 years’ full warranty then pro rata on years 4 & 5. Due to logistical restrictions we cannot ship Lithium Batteries on their own outside UK therefore they must be purchased with a Trolley only. The manufacturer's warranty covers purchases within the UK and Ireland only. Customers outside the UK & Ireland will need to return their item to the UK for repairs & services covered by the manufacturer's warranty. The warranty covers manufacturing defects that occur during normal use. Any breakage caused by accidental damage or as a result of abuse or misuse (as set out in the relevant manual) or commercial use is not covered. 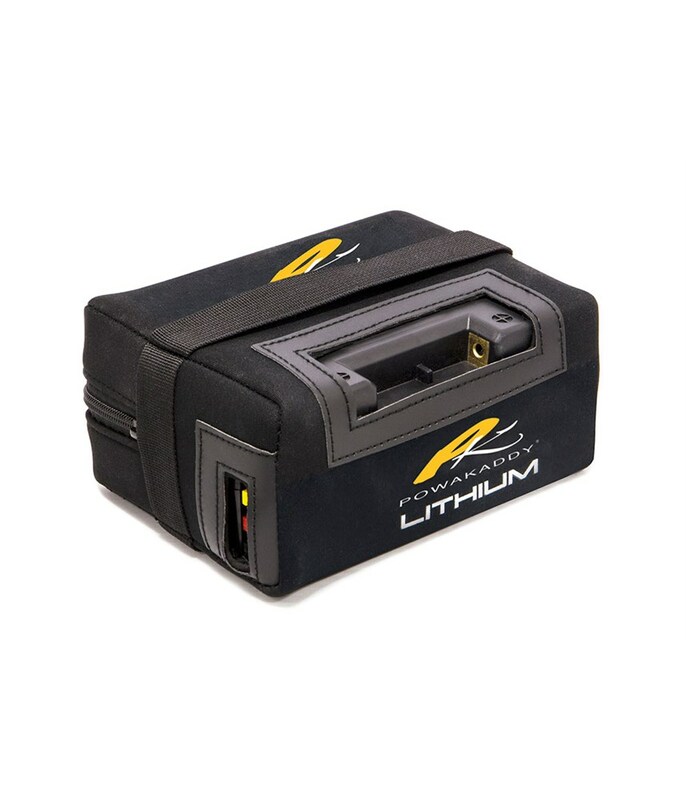 Powakaddy batteries are covered by a separate warranty (60 month lithium) and can be registered using the "Battery Warranty Card" or online using our warranty registration form.